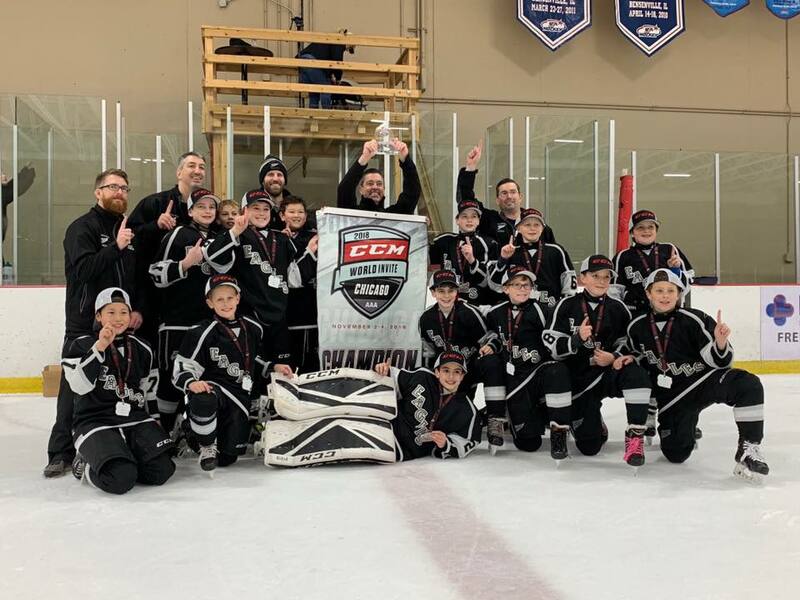 PW AA '07s Win Chicago CCM Invite Tournament! The Eagles PeeWee Minor AA team just returned from Chicago where they were crowned Champions of the CCM World Invitational. The boys dispatched numbers 2, 3, 14, 24, 26 and 48 in the country, playing to a perfect 7-0 record with 27 goals for and 9 against. In beating the Tampa Bulls 4-1 in the finals, they have now pushed their record to 22 wins and 2 losses on the season. ©2019 Carolina Eagles Youth Hockey / SportsEngine. All Rights Reserved.